Sorry, this has nothing to do with Jonathan Brandis or dolphins and everything to do with the next phase of my skincare ingredient exploration. I still love all things bee. My delvings into the sweet, sticky world of propolis and honey have been great for me. I’ve learned a lot about my skin and about some wonderful natural ingredients, and I’ve discovered a ton of great products along the way. But in my opinion, clinging to one ingredient is just as limiting (and ultimately boring) as clinging to one brand, so it’s time to dive into something that I already know my skin loves (also, my taste buds) but haven’t yet fully immersed myself in: seaweed! In Korean skincare, two of the most common seaweed-based ingredients you’ll see are laminaria digitata extract and laminaria japonica extract. Both of these, as well as many other seaweed varieties, are known as excellent humectant and emollient moisturizers with studies to support their claimed benefits. Even more importantly for those of us concerned with UV and free radical damage and their acceleration of the visible aging process, credible sources attribute excellent antioxidant properties to both laminaria digitata and laminaria japonica. Yay! Anecdotally, I’ve found that seaweed consistently really, really agrees with my skin. Even in a very basic and in some ways unimpressive sheet mask, kelp never fails to make my skin just look and feel fabulous all around: plumped, moisturized, smoothed, and soothed. I liked it in my DD’ell Extra Vitalizing serum, too. 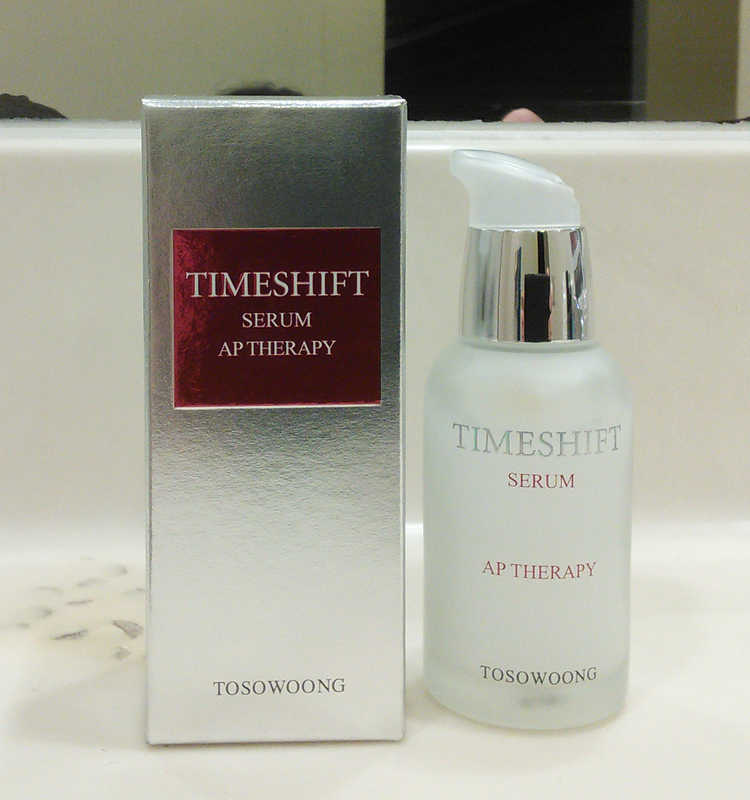 When I noticed kelp in the ingredients list for my new Tosowoong Time Shift Serum, I took it as a sign. A sign that the Tosowoong Time Shift line and I were meant to be. Shark Sauce, the custom-formulated, handmade waterless ampoule that the amazing Holy Snails devised for me after a chat in which I said something like “I just want a serum that has a ton of seaweed, niacinamide, licorice root extract, more seaweed, and some sea buckthorn, is that just too much to ask?” Apparently it is not. Not to be too hipster, but the ingredients in Shark Sauce were carefully curated, proportioned, and blended to ensure maximum potency, and I want to bounce up and down in excitement every time I think about it. Shark Sauce will replace the Shara Shara Honey Bomb All In One Ampoule (which is almost all gone) in my morning and evening skincare routines. All of these things make me feel better that my jar of Banila Co. Miss Flower & Mr. Honey Cream is already more than half gone. What do you think about seaweed products? So THIS is the memo on seaweed that I missed. Between you and Holy Snails, there’s seaweed all over my IG feed. I also think I’m going to pick up some snacking nori today. I’M SO EXCITED FOR THIS!!! I LOVE seaweed (in food, to be clear) but it seems like such a great skincare ingredient! Excited to see your thoughts!!! I can’t wait to get all my seaweed stuff, especially the Shark Sauce! 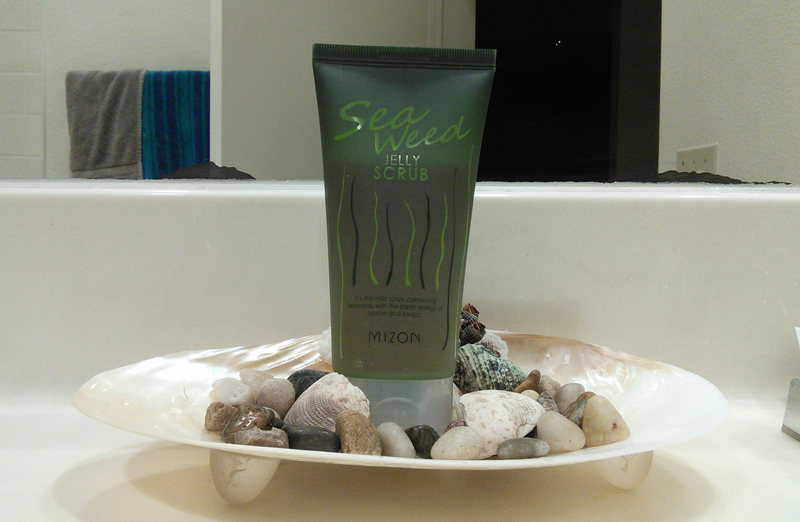 I used the Mizon seaweed scrub last night and I really liked it. I think I like you even more for making that Seaquest reference (for real, I was obsessed with that show when I was young and Jonathan Brandis was probably the main reason for it). I am dying to try the Tosowoong Timeshift stuff, and all this kelp talk has made me rediscover my interest in trying the Whamisa Kelp Mask.